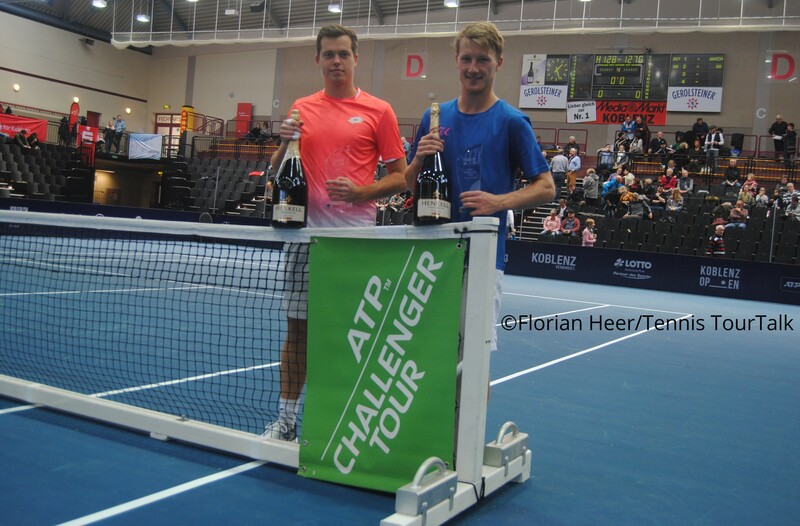 Gianluca Mager is the champion of the third edition of the Koblenz Open, the lone ATP Challenger event this week. 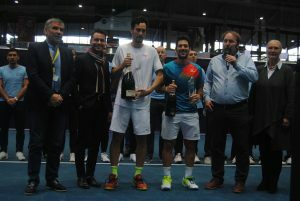 The 24-year-old Italian beat first-time finalist Roberto Ortega-Olmedo from Spain in Sunday’s singles title match between two unseeded players 2-6, 7-6(6), 6-2. Mager came back from a set and a break down, winning 51 per cent of the total points played to secure victory in exactly two hours of play. “Roberto played incredible tennis in the opening set. I tried to serve faster in the second set and fought for every point. This has been my biggest success in my career so far. I am very happy,” said Mager, who was supported by his girl-friend and his godfather. Mager takes away €6,190 in prize money as well as 80 ATP-Ranking points. He will reach a new career-high at World No. 219. Ortega-Olmedo had enjoyed a great run this week. “I will come back stronger,” Ortega-Olmedo said during the on-court ceremony. Earlier in the day, Zdenek Kolar and Adam Pavlasek clinched their first team title. The all-Czech combination beat Austrian veteran Jürgen Melzer and Flilip Polasek of Slovakia 6-3, 6-4 in the doubles final. The encounter lasted 64 minutes. “We stayed focused and held our serves. That was key. It is still important to us to play singles but doubles is also a very good practice to learn some movements and volleys. We enjoyed it a lot,” Pavlasek said. “It’s special, as we are good friends and I am very happy to win this tournament here,” Kolar added.